I live in Osaka. My son in the 2nd year of a primary school and wants to watch fire-flies. Please recommend a hotel near the spot where we can enjoy fire- flies in the Kansai area for less than \15,000 per person. If you’ve been looking for an accommodation where you can enjoy the fire-flies watching, I recommend the Takao sightseeing hotel which is at the foot of Shingo Temple of Mt. Takao in the Kyoto city in the Kyoto prefecture which is not far from Osaka. The best season for fire-flies is June and July. You can enjoy the food with seasonal ingredients. 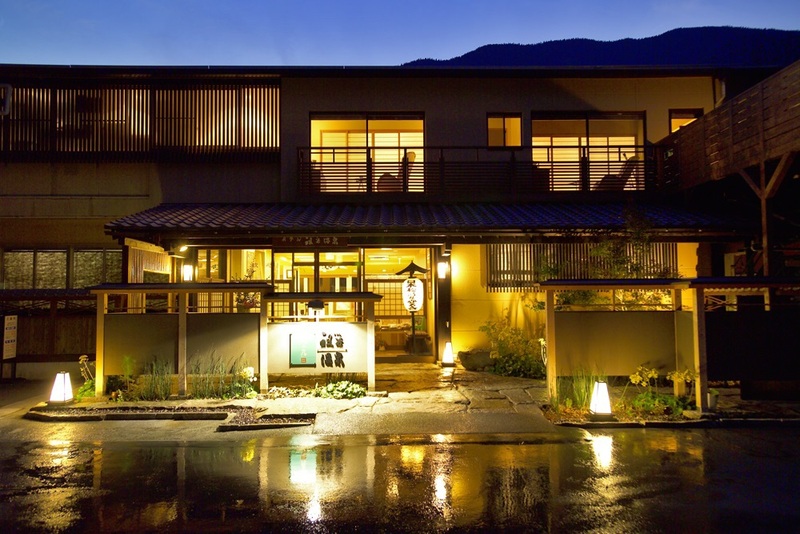 The hotel is located in the suburbs of Kyoto. The mountainous scenery is brilliant and you can enjoy not only Genji fire-flies but also fishing in the river. 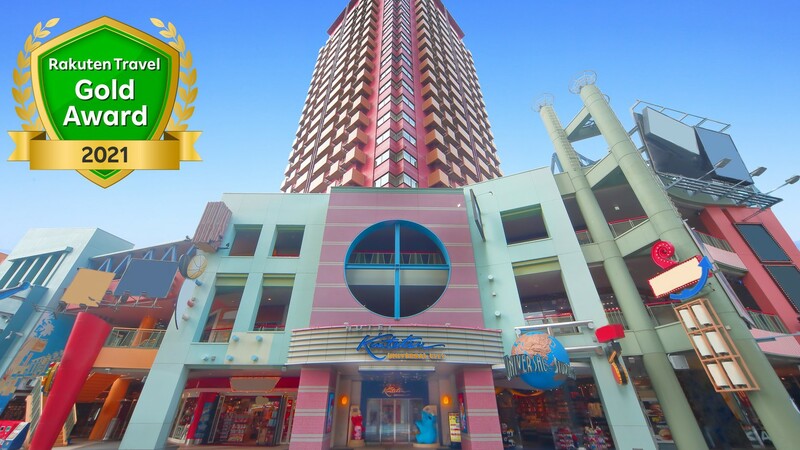 The hotel has the sufficient facilities which are wonderful for a family. The food along the river is plentiful and there is no doubt that you can have a good memory of a summer holiday. If you go next year, this hotel is the best. They have a plan called, “Attention, please! ◎◎ the foods at river-side and the Maiko-san” and “delicious foods and looking for the cool” \15,000 is not enough, if you want Maiko-san to enjoy as well, but if you only want to enjoy fire-flies, you can stay in the standard room and go to the river to watch fireflies by yourself. The tour of watching fire-flies is held every June. This hotel has a plan for the tour of watching fire-flies in June every year. You can take part in the tour without any doubt, as a member of hotel staff will guide you to the place where you can watch the first appearance of the fire-flies. The hotel room is nich and you can enjoy the scenery through the window of a room. The bath is clean to comfort your stay. the hotel on the hillside where you can enjoy watching fire-flies and BBQ. There is a free shuttle-bus from the hotel to the place to watch fire-flies. You can enjoy the buffet-styled meals with the local ingredients and BBQ. I could enjoy the Tajima-beef which is the famous product of the Hyogo prefecture and the seafood in a big bowl with rice to the full. You can relax in the open-air hot-spring with the breeze from the hill. The event of this hotel is the seasonal fire-fly-watching. The atmosphere and the location of the hotel are quiet and very good. You can experience the old charming atmosphere as well. There are choices of foods and especially you can enjoy the open-air hot-spring. The Airport Limousine Bus to the hotel departs from the bus stop 3 on the arrival floor of Kansai International Airport. Take the bus bound for Osaka Nanko, 40 min. from the Airport. Take the Chuo Line from Honmachi to Cosmo Square Station. At Cosmo Square Station, transfer to the New Tram for Nakahuto Stations. It is a 3 min. walk from there to the hotel. Take Yotsubashi line from Namba to Suminoe-koen and transfer to the New Tram for Nakahuto Station. It is a 3-min. walk from there to the hotel. Exit the Hanshin Express way at Nanko-kita ramp and follow the signs to the hotel (5 min. away). From the Osaka-ko Chikko Intersection, via the Osaka-ko Sakishima Tunnel, it is 4km. to the hotel. I stayed at this hotel twice in 2005. 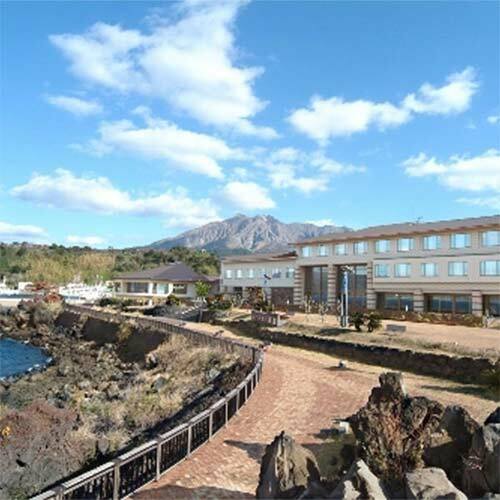 I remember that I saw fire-flies in the Italian restaurant connected to this hotel and the Japanese-styled restaurant from where you can see the garden. 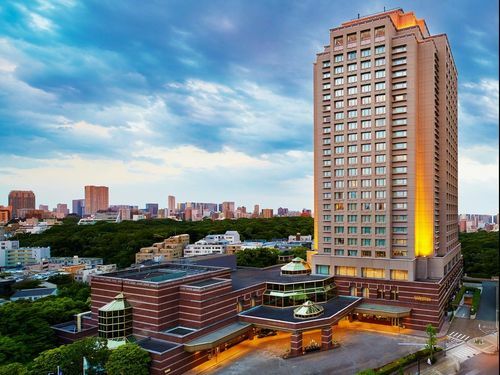 The hotel provides a free shuttle-bus to the Osaka station, so you don’t need to use a taxi to go to the busy street. 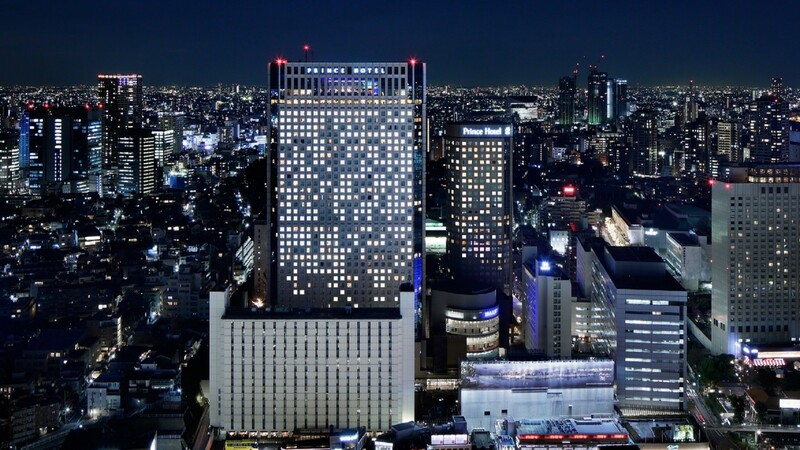 15 MINUTES BY TRAIN OR TAXI FROM OSAKA AIRPORT OR JR SHIN-OSAKA STATION. 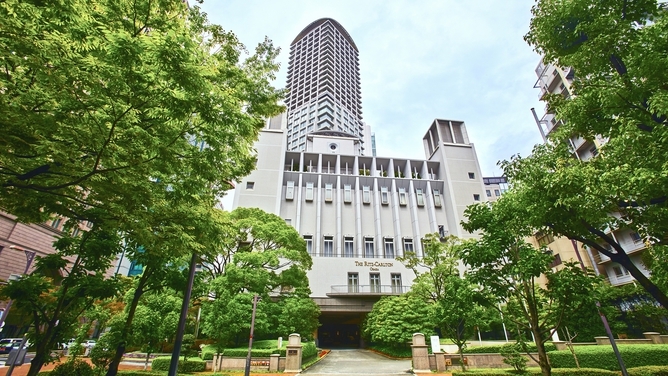 The hotel is Senri-chuo and convenient from the Itami Airport and shin-Osaka. The watching of fire-flies takes place in the International Exposition memorial park. As the hotel is close to the event site, it is good for tired children to go to bed. During the day, they can enjoy themselves in the hotel’s garden pool. At night, they have a pool-side beer-garden for adults to enjoy themselves. The hotel has a deal for enjoying fire-flies, so it is very handy. Also, children can enjoy themselves on the beach of the Awaji Island and adults can enjoy the foods with wonderful hospitality. 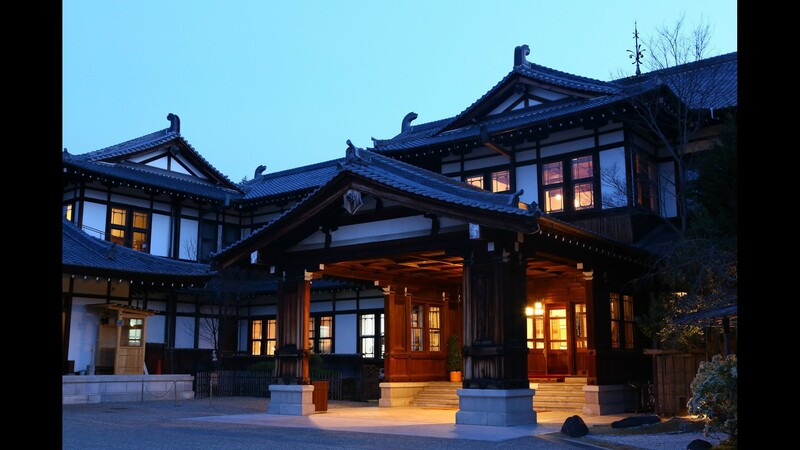 The hotel is close to Osaka, so it is ideal to sightsee the Awaji Island. 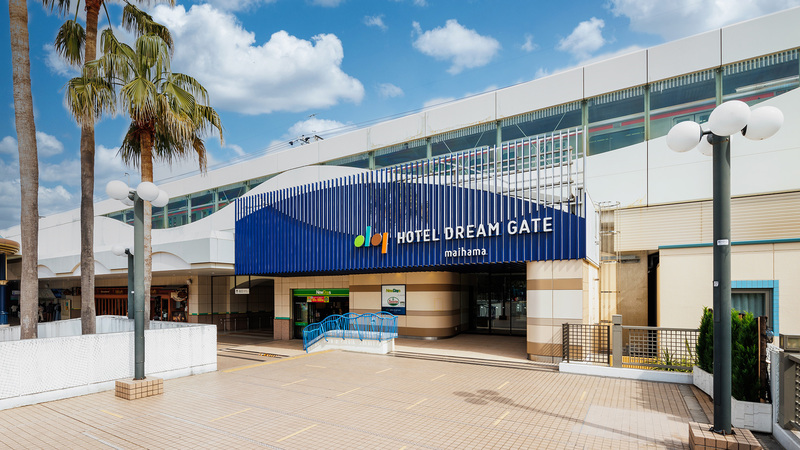 1min walk from JR Wakayama Station, central exit! 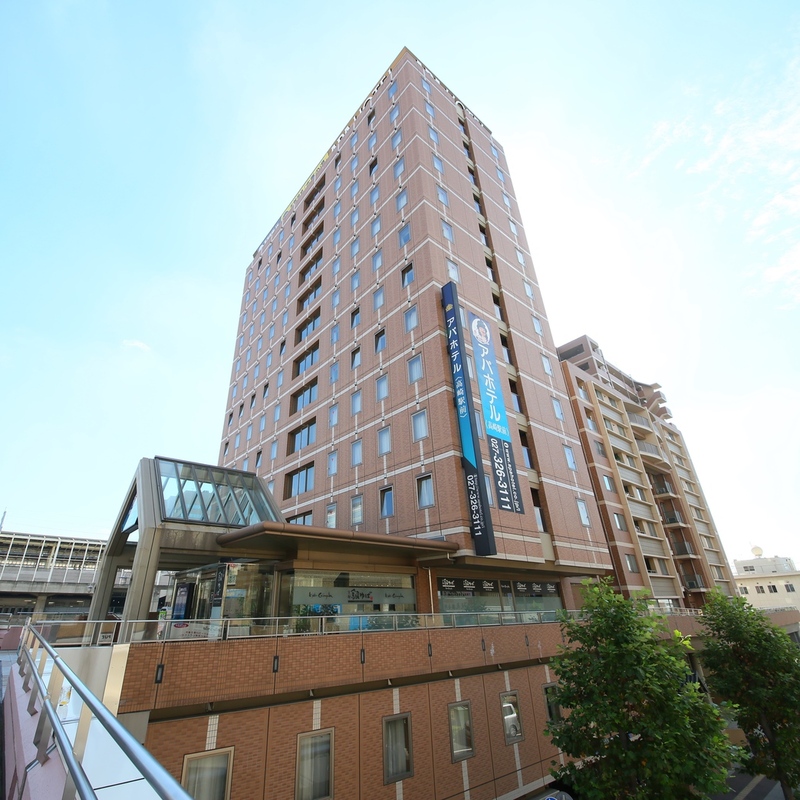 Same building as Kintetsu Department Store. You can stay with your family. This hotel has a plan for a family within your budget. The neighbouring city, Kinokawa has been enlivening the city economy by attracting tourists by increasing the number of fire-flies. They increased the moss which was the food for fire-flies, by keeping the river clean. So, nowadays a lot of fire-flies are inhabiting this area. I recommend this hotel, as you can enjoy fire-flies in the International Exposition memorial park. You live in Osaka, but sometimes it is good to know the place which you haven’t been in Osaka. The charge is reasonable and it meets your budget. You can watch fire-flies near the river in front of the hotel. The staff of the hotel told me the best timing. It is located at a place full of nature in Hokusetsu in Osaka and you can enjoy the natural beauty from the open-air hot-spring. I stayed in the Japanese-styled room, but I stayed very comfortably, enjoying the beautiful nature through the window of my room. There is a game-corner and a souvenir-corner in the hotel. In front of Fukushima Sta. (1 station from JR Osaka Sta.) on the JR Loop Line and the Hanshin Line. 10 min. walk from JR Osaka Sta. Approx. 65 min. by Kansai Airport Rapid Service to Osaka Sta. 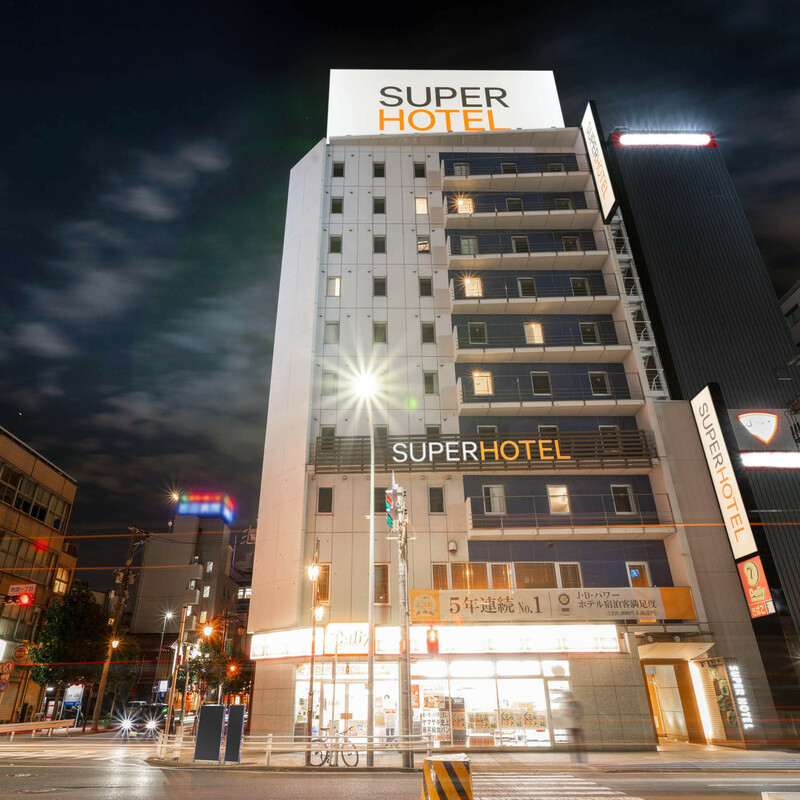 The hotel with a hot-spring is close to the station. It is convenient to go to the USJ. You can use not only the JR-trains but also the Hanshin-trains to go directly to Kobe. There are a lot of cheap food shops around and you can enjoy both classy and an ultra-cheap atmosphere together. You can also enjoy a natural hot-spring in your room. Thought to want to visit to Shikoku is.